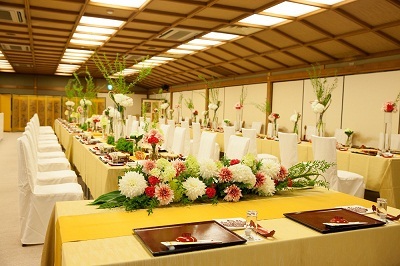 We decorated the tables to appeal “freshness” while respecting the luxury atmosphere of “Juraku-den”. 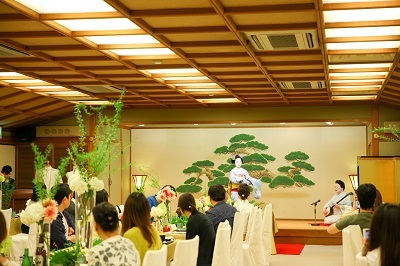 Maiko’s dance for celebration was performed as a surprise gift for the guests. 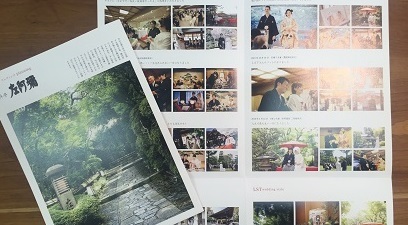 LST’s original wedding costumes exclusively designed for the wedding at Kamigamo shrine or Kiyomizu-dera Temple, both designated as the World Heritage site, were displayed. We presented our brochure with the voice of our clients who had held their wedding reception at Saami with our service. 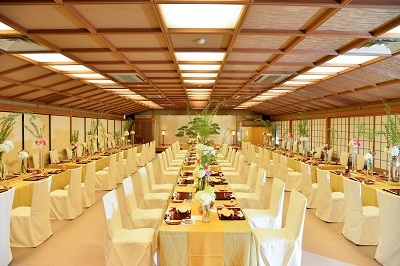 On August 7th, we held a special event at “Saami (ryoutei restaurant)” to propose our table coordination and interior decoration for the wedding reception. We would like to show you part of the programs here. We will keep trying our best to make our clients more happy. 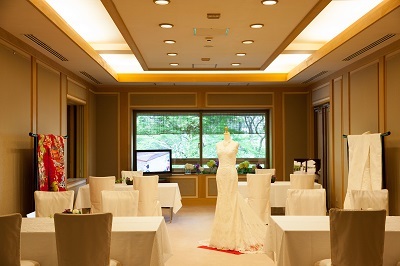 For that LST will propose very unique and original wedding plans to our clients from now on, too. We would like to express our sincere thanks for the couples who participated the event, Saami ryoutei restaurant and our partners.